In January 1982, Bruce Springsteen, then thirty two and an established star, recorded a set of demos in his New Jersey bedroom for what was intended to be his follow up to The River , a double album issued in 1980 which had reached the top of the US Billboard. All parties involved had grand expectations for this new album, and these demo recordings, including, as they did, Born In The USA , which was to become Springsteen s signature hit only a few years later, promised an impressive album. However, after a series of sessions with his E Street Band spent working on the material, Springsteen and those closest to him felt these new recordings failed to capture the intimacy of the home demos and took the incredible decision to eschew the expensive, state of the art productions, choosing instead to release the crude, home recorded version of the album. 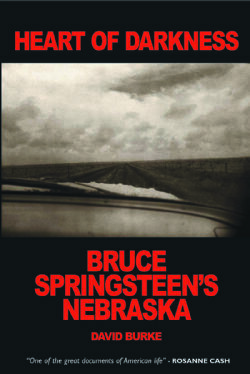 Almost thirty years later, Nebraska is considered a classic, not only amongst Springsteen s canon but amongst the entire body or work recorded during the twentieth century. Its everyman, blue collar themes resonated with much of The Boss listening audience, and the intimate nature of the album gave it a unique presence amongst the increasingly overblown productions being concocted in the world s recording studios by other mainstream acts of the day. The album captured the public’s imagination, reached #3 on the Billboard and added a new, darker side to Springsteen’s public persona.